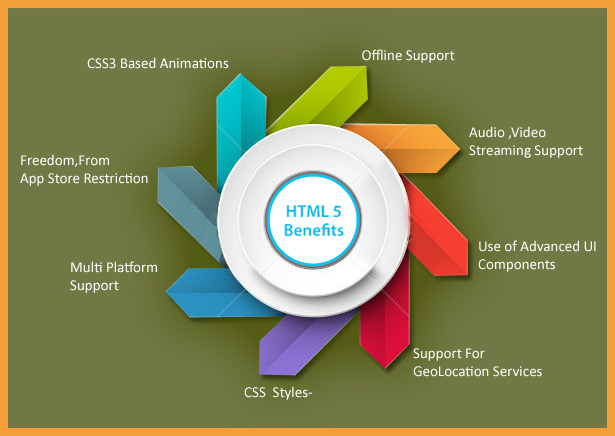 HTML5 introduces many cutting-edge features that let developers create apps and websites with better functionality, speed, performance; thereby enhancing the overall experience of desktop applications. HTML5 accelerates the pace of innovation. HTML5 is now supported over all major browsers such as Internet Explorer, Firefox, Safari, Google Chrome and Opera. HTML5 supports the users as well. They don’t need to install apps across multiple devices. They can start running a new app the moment they click a link or an icon. The HTML5 increases the overall speed and performance of the applications with quick responses and interactions. Having experience in implementing HTML5 and CSS3, omkarsoft can offer you solutions that will meet your particular project requirements. With HTML5 development services, we can enable your website to be compatible with the iPhone and iPad. HTML5 development services help in structuring the content and presenting it impressively on the web. We have a team of expert professionals who are exceptionally tech savvy and provide the best results under any level of complexities.